A long time ago, we discovered a land surrounded by the bluest waters. Waters that make dreams seem real. Islands that steal hearts. And Places that stay with you long after you leave. Far, far away from every day life is the Maldives, an archipelago nation. About 1190 islands come together to create this heaven. Most of these islands are individual resorts or home to the locals. Some, are even pure, untouched sandbanks. This unique geography of the Maldives offers incomparable privacy to resorts and their guests. 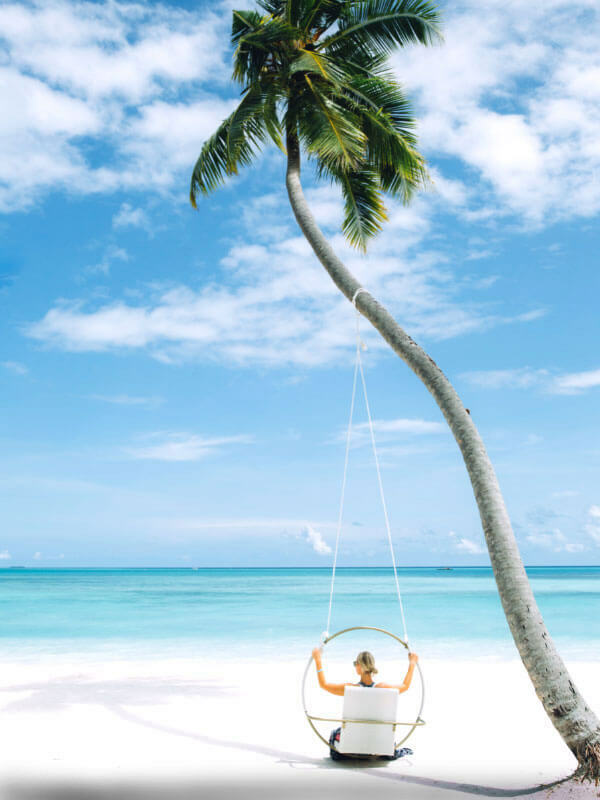 The Maldives is definitely a dream with its white sandy beaches, azure blue waters, coral reefs full of marine life and most importantly, you, soaking it all up. In the maldives, there’s no rush hour, no deadlines to meet or busy itineraries to tick off. Time moves at your pace. You can choose to go snorkelling, diving, enjoy some water sports, go for a sunset cruise to spot dolphins or just be. In its truest sense, Maldives teaches you the art of going with the flow. Of doing nothing. And loving it. Located in the Indian Ocean, Maldives is only a short flight away from Southern India. Its strategic location makes it easily accessible by all major flight and sea routes. Velana International Airport serves as one of the prime airports in addition to Gan Airport (now also serves as an international airport), Dharavandhoo Airport which operate mainly as domestic airports. Since the Maldives is made up of a number of islands, roads are accessible on the island itself. Speedboats or local boats called “Dhonis” act as easy modes of transport between islands for short distances. 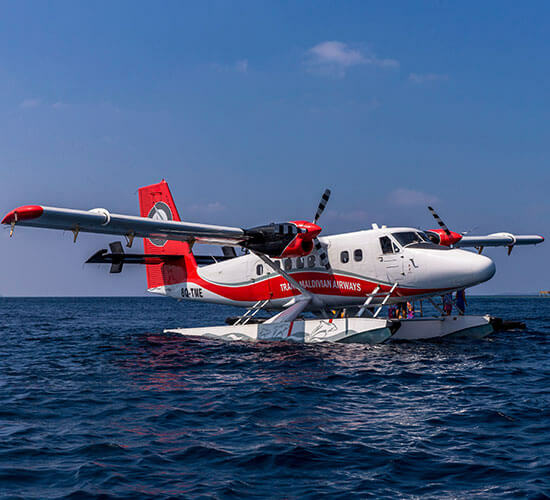 Depending on the distance of resorts from Velana International Airport, seaplanes as well as domestic flights followed by a quick speedboat ride, are other transport options around the island country. Transportation is included in our package rates. 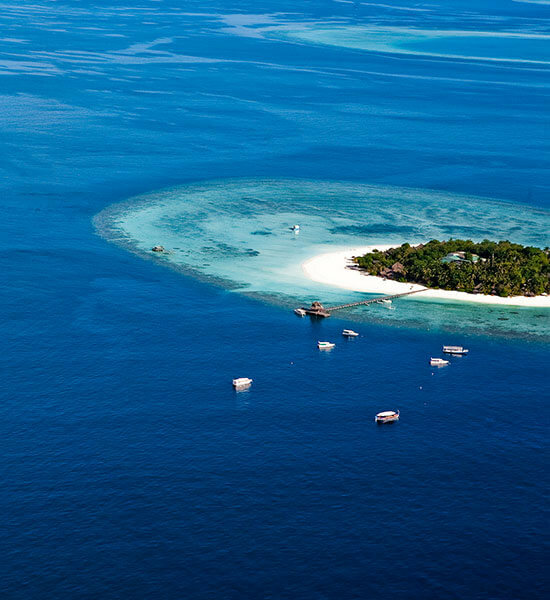 The Maldives comprises of roughly 1190 small coral islands. These islands are grouped into 19 administrative ‘atolls’ and vary in size and character. Some are sandbanks while others are tropical islands with lush vegetation, ringed with coral reefs, turquoise lagoons full of marine life and white sandy beaches. The Maldivian islands are no more than 06 feet above sea level and lie 73 degrees east of the equator. The Maldives has a tropical monsoon climate all year round. It experiences light to heavy showers which last no more than one hour. The average high temperature noted has been 30°C. Whereas the average low temperature is usually around 25°C. Located at the crossways of the Indian Ocean the Maldives served as a meeting point for African, Arab, Malay and Indonesian mariners. Through the centuries these influences have shaped the Maldivian way of life. Dhivehi is the official language of the Maldives. English is widely spoken by the locals and at resorts. 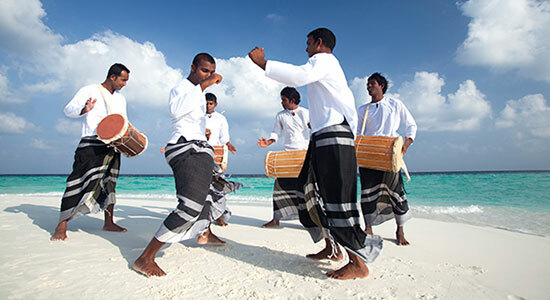 Music and Dance are a major facet of Maldivian culture. Resorts showcase this vibrant aspect of Maldivian culture at special events or at weekly cocktails. Maldivians feel a close affinity to North India and its languages. Maldivians keenly watch Bollywood films and avidly listen to Hindi music. Maldivian cuisine comprises mainly of fish owing to the large fishing industry in the Maldives. 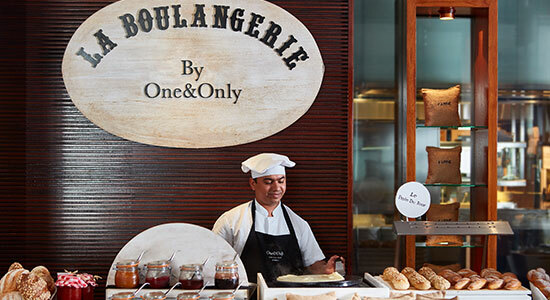 Resorts have a number of restaurants where guests can enjoy delectable meals across a plethora of cuisines to choose from. A diver’s paradise as it is said, Maldivian waters are home to over 187 species of vibrant corals and over 1500 species of marine animals. Divers and non-divers alike can enjoy sights of beautiful whale sharks, rays and many more species of beautiful fish. You can pick up a pair of snorkels at the resort and enjoy the unreal sights of the underwater world at the resort’s house reef. Diving in the Maldives is an incomparable experience. The PADI Open Water Diver Course is a popular option. Guests who wish to scuba dive may visit the Dive Centre at their resort for further information and guidance. Baa Atoll has been classified as a UNESCO Biosphere Reserve since 2011. Located in the North of Male, it houses some of the best of marine life including Whale sharks, manta rays, marine turtles. 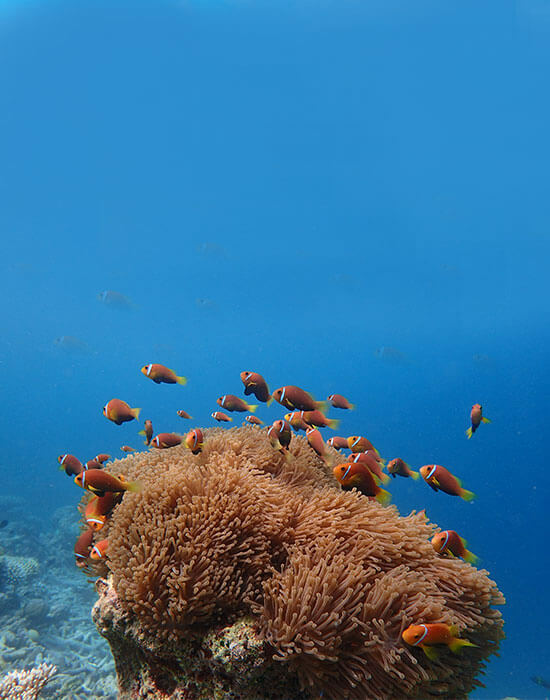 Usually live-aboard diving trips are the best way to enjoy the marine life in Baa Atoll. 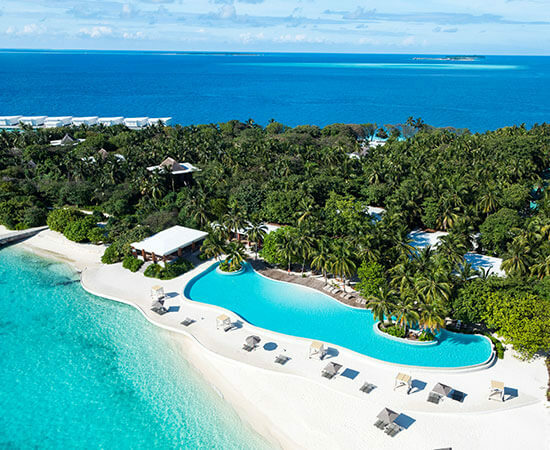 However, there are a number of resorts around Baa Atoll like Amilla Fushi, Anantara Kihava Villas, Coco Palm Dhunikolhu, Dusit Thani. Diving trips to the Biosphere Reserve can be arranged by the resort.